Author and DailyOM co-founder, Scott Blum, is making his new book Summer's Path available for a limited time as a free eBook (text or audio), downloadable from his Website (ScottBlum.net). Summer's Path is the remarkable story of Don Newport, an engineer who, after losing his job and his health insurance, learns he has a terminal disease and only a few months left to live. To spare his beloved wife, Don seeks a way to end his life that won't further traumatize her. His answer comes when he meets Robert, a brazen angel of death who offers him a rare and unexpected option. 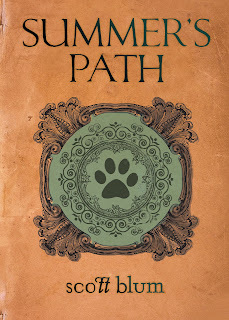 Summer's Path is the prequel to the highly anticipated hard cover book, Waiting for Autumn (releasing April 2009). When you download the book, you can also enter to win a FREE Kindle plus a gift certificate for 65 books of your choice ($1,000+ value)!